Mr. Swanson is a Director in the Research Department for Hovde Group, responsible for equity research coverage of the U.S. bank sector. 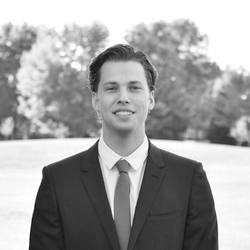 He joined Hovde Group in 2015 from Two Fish Management, where he was a Research Analyst working with the firm principals on developing high return ideas for hedge fund clients and institutional accounts through distressed debt and deep value equity. Mr. Swanson began his career at 40|86 Advisors as a Research Analyst responsible for identifying total return and long-term fixed income investments for both investment grade and high yield. Mr. Swanson holds a Bachelor of Science degree in Finance from Butler University in Indianapolis and was Captain of the Men’s Golf Team. He is registered with the Financial Industry Regulatory Authority, and holds the Series 7, 63, 86, and 87 licenses.